This entry was posted in Texas and tagged About, About Page, Introduction, Random Nonsense, Shakespeare, Updates. Bookmark the permalink. Lance, you never fail to inspire. So glad I found you, or did you find me? I forgot if I remember this or not. 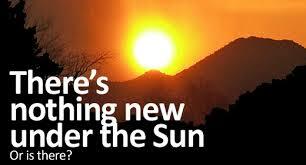 I seem to learn something new every day…..so my Sun definitely shines new light daily!